I am very concerned for the health of everyone but particularly that of children and this concern starts for babies in the womb as you saw in last week’s newsletter. 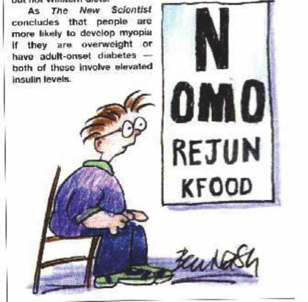 Since the increase in eating white rice and adding wheat and other western junk foods to the diet even newer studies reports up to 90% of all school leavers in major Asian cities are now suffering from myopia - short-sightedness. Professor Ian Morgan, who led this study and is from the Australian National University reported 20-30% was once the average among people in South East Asia as well. The food children eat might play as big a role as books and computer screens when it comes to causing short-sightedness. Diets high in refined starches such as breads and cereals increase insulin levels. This affects the development of the eyeball, making it abnormally long and causing short-sightedness, suggests a team led by Loren Cordain, an evolutionary biologist at Colorado State University in Fort Collins, and Jennie Brand Miller, a nutrition scientist at the University of Sydney. The theory could help explain the dramatic increase in myopia in developed countries over the past 200 years. 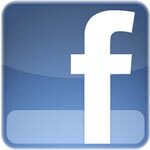 It now affects 30 per cent of people of European descent, for example. "The rate of starch digestion is faster with modern processed breads and cereals," says Brand Miller. In response to this rapid digestion, the pancreas pumps out more insulin. High insulin is known to lead to a fall in levels of insulin-like binding protein-3, the team points out. That could disturb the delicate choreography that normally coordinates eyeball lengthening and lens growth. And if the eyeball grows too long, the lens can no longer flatten itself enough to focus a sharp image on the retina, they suggest. "It's a very surprising idea," says James Mertz, a biochemist at the New England College of Optometry in Boston. But it's plausible, says Bill Stell of the University of Calgary in Canada. "It wouldn't surprise me at all. Those of us who work with local growth factors within the eye would have no problem with that - in fact we would expect it." Metz's institution is now planning studies in animals. But there is already evidence to support the theory. While fewer than one per cent of the Inuit and Pacific islanders had myopia early in the last century, these rates have since skyrocketed to as high as 50 per cent. These "overnight epidemics" have usually been blamed on the increase in reading following the sudden advent of literacy and compulsory schooling in these societies. But while reading may play a role, it does not explain why the incidence of myopia has remained low in societies that have adopted Western lifestyles but not Western diets, says Cordain. "In the islands of Vanuatu they have eight hours of compulsory schooling a day," he says, "yet the rate of myopia in these children is only two per cent." The difference is that Vanuatuans eat fish, yam and coconut rather than white bread and cereals. The theory is also consistent with observations that people are more likely to develop myopia if they are overweight or have adult-onset diabetes, both of which involve elevated insulin levels. The progression of myopia has also been shown to be slower in children whose protein consumption is increased.